British actor Henry Cavill steps into the spotlight, wearing the latest BOSS Eyewear for the brand’s “Sharpen Your Focus” campaign. 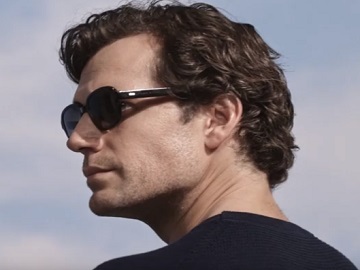 The Man of Steel star is featured in a 30-second ad set against a limitless blue sky and imposing architecture, as he walks down an alley sporting various outfits and eyewear styles from the Spring/Summer 2019 collection. “Focus takes us forward. Beyond the attainable. Towards the exceptional. Stepping forward into the light. We’re going up to endless possibilities. Drawn into focus,” he says in voiceover. The Spring/Summer 2019 fashion collection “takes tailoring and sportswear to new heights, with a relaxed, California-inspired wardrobe created for the bright days that lie ahead,” according to the brand, which proposes as this season’s trends a packable windbreaker, a glossy parka, a summer knitted sweater for men and statement pieces in neutral shades for women, designed to make them stand out, such as an oversized knit sweater, a skirt suit in ultra-soft plonge leather and more. The eyewear collection includes grey bronze lens sunglasses, green lens round leather wrapped sunglasses, black lens top bar sunglasses, polarized oleophobic acetate sunglasses, and more. BOSS states that these signature frames are “innovatively crafted from lightweight materials for superior wearing comfort” and offer “a perfect balance of masculinity and elegance”.